AS IRELAND DEALS with a women’s health scandal involving CervicalCheck, Britain is facing its own – over breast cancer screening. MPs were told today by Health Secretary Jeremy Hunt that up to 270 women may have died because they missed a breast screening. The Guardian reports that this is because a computer algorithm meant “that between 2009 and the start of 2018 some 450,000 women aged between 68 and 71 were not invited to their final screening”. It is not known yet if this resulted in an avoidable delay or death, but Hunt told MPs it was estimated that there will be between 135 and 270 who had their lives shortened because of the error. Of the 450,000 women who missed out on screenings due to the error, 309,000 are still alive. Hunt: "As soon as possible, we will make our best endeavours to contact the appropriate next of kin of those we believe missed a scan and subsequently died of breast cancer." Compensation is to be paid to the families of women who missed a screening and who died of cancer. 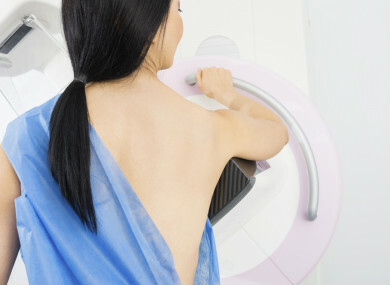 An independent inquiry into the breast screening programme is also due to take place. The government is now to look into whether these missed screenings resulted in death. Hunt says that "for many years, oversight of our screening programme has not been good enough ... I apologise wholeheartedly and unreservedly for the suffering caused"
The Public Health Agency in Northern Ireland said that is aware of the issues in england, and it has reviewed its systems and process through which women in NI are invited for screening. It said that “no issues have been identified”. In February of this year, Hunt launched a review into the handling of the vaginal mesh scandal, after women raised serious concerns over the side-effects of the mesh. The issue has also affected women in Ireland, with some women due to meet the Health Minister Simon Harris on the issue. This latest scandal in England comes as Ireland is dealing with a scandal around the provision of smear tests to women. Earlier today, Taoiseach Leo Varadkar said that there will be a redress scheme for women affected by the controversy. The issue was brought into the public eye following a court case by Vicky Phelan, who is terminally ill and was last week awarded €2.5 million over incorrect smear test results from 2011. Email “English breast screening scandal: Up to 270 women may have had lives shortened over IT error ”. Feedback on “English breast screening scandal: Up to 270 women may have had lives shortened over IT error ”.